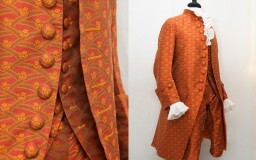 A late eighteenth-century ensemble. 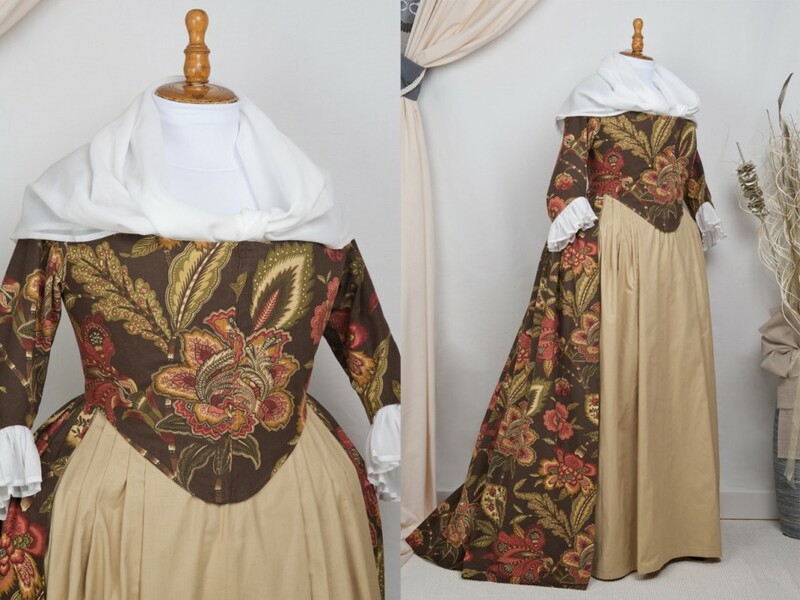 The customers requirements were to obtain a full outfit in the look of the mid 1780ies, but there was no need to be 100% period accurate, so everything was sewn by machine. 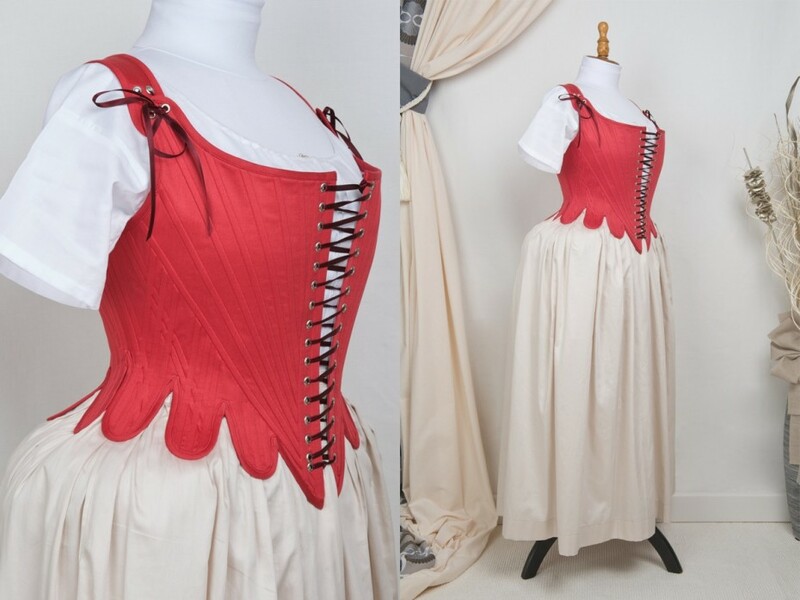 Underpinnings are as follows: two shifts (chemise), a pair of pockets, bumroll, petticoat, and a pair of stays. All materials used are either cotton or linen. 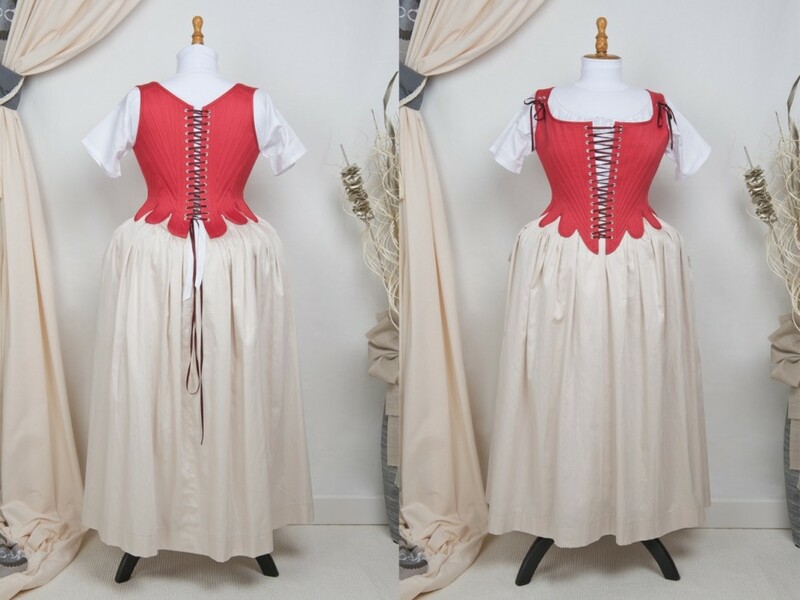 The stay’s pattern is derived from a pattern for halfboned stays by Diderot, here period-accurately spiral-laced in front and back. 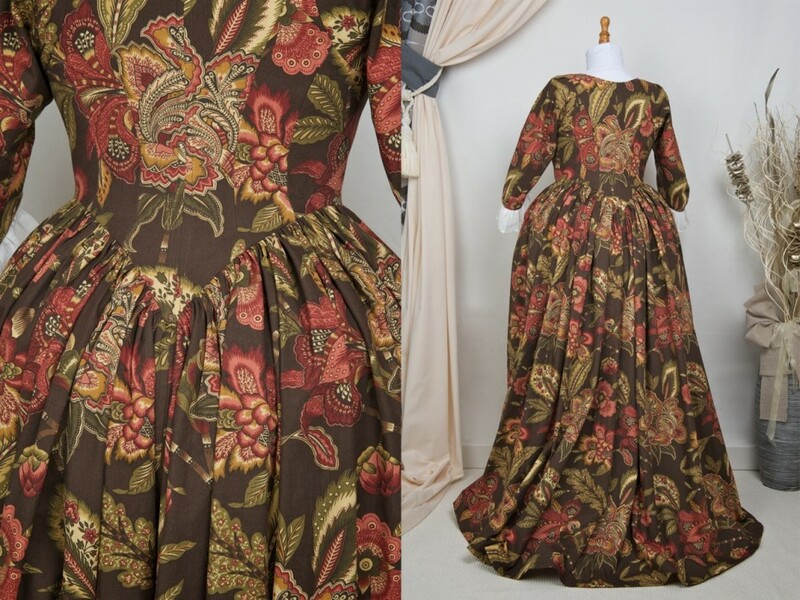 The Robe is made from printed cotton, with very large, stylised, patterns (fortunately the machine-seams are barely visible on this vividly patternd fabric). 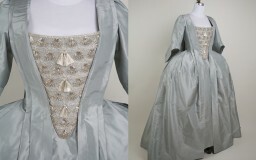 The robe’s sleeves are rather tight, so the sleeve-ruffles made from fine cotton batiste are attached to the robe. 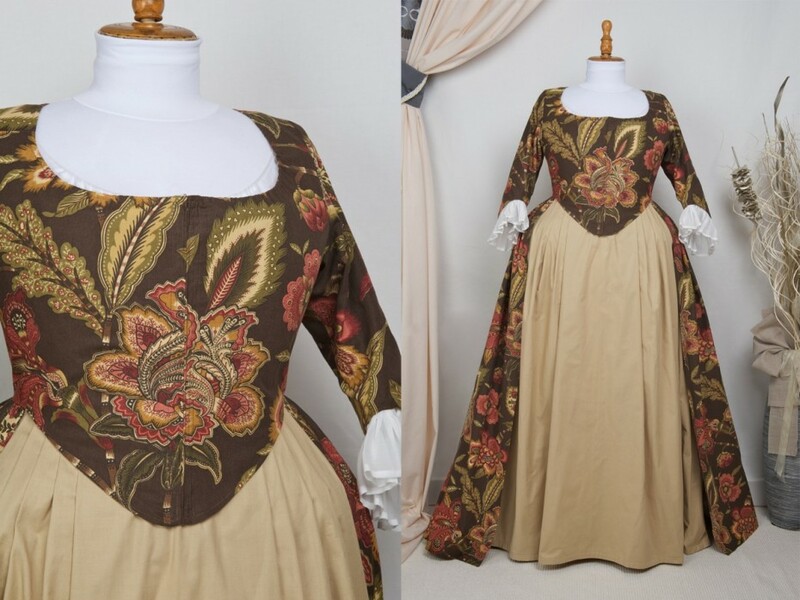 (In previous decades and for other dress-styles the shift’s sleeves were longer and wider and the said ruffles were attached to the chemise’s sleeves. To prevent from bulk, the shift’s sleeves became shorter and narrower as the robe’s sleeves grew longer and tighter.) Wearing a large and pouffy Fichú also became very fashionable at this time.